What does global underpants icon and ex-England soccer star, David Beckham, have in common with the mysterious 1930s Delta blues legend, Robert Johnson? Answer: London’s East End suburb of Leytonstone in the UK. To be more precise, Leytonstone was where David Beckham was born in 1975 and where Robert Johnson’s sole producer, Don Law, was born 73 years earlier in 1902. While Beckham starred with Manchester United and as captain of England, Don Law sang with the internationally famous London Choral Society, albeit about 70 years earlier. Bristol-born Arthur ‘Art’ Satherley, who had previously marketed blues legends such as Ma Rainey, Blind Lemon Jefferson and Blake for Paramount. ARC, at the time, were running cut-price labels such as Brunswick, Vocation, Melotone and Perfect. It was those last three labels which introduced Robert Leroy Johnson to the world, through his landmark 1936 and 1937 Texas recordings, produced by Don Law. Their first session saw 16 songs recorded in a makeshift studio in the Gunter Hotel, San Antonio, Texas. Recording took place over three days, starting on 23 November 1936, with the Mississippi-born Johnson providing alternative takes for most tracks. 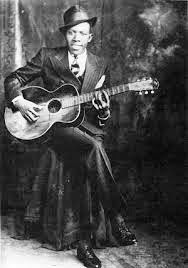 The session produced Robert Johnson classics including ‘Cross Road Blues’, ‘I Believe I’ll Dust My Broom’, ‘Kind Hearted Woman Blues’, ‘Come into My Kitchen’, ‘Terraplane Blues’ and ‘Last Fair Deal Gone Down’. About six months later, in June 1937, Robert Johnson travelled to Dallas, Texas, for a second recording session with Don Law. This took place over two days in another temporary recording studio, this time at Vocalion’s parent company Brunswick’s third-floor offices, at 508 Park Avenue in downtown Dallas. Johnson cut a further 23 variations of ten tracks including four takes of ‘Love in Vain’, three cuts of Sleepy John Estes’ ‘Milk Cow Blues’ (re-titled ‘Milk Cow Calf Blues’) and ‘Me and the Devil Blues’. These were the only recordings Robert Johnson ever made. First to be released were Terraplane Blues and Last Fair Deal Gone Down, probably the only recordings of his songs Johnson ever lived to hear. Terraplane Blues, at least, was a moderate regional hit for Johnson in America’s South, selling about 5,000 copies. The rest of the records released, at the time, passed virtually unnoticed. Until the 1960s. Only when the iconic English rock-blues trio, Cream, covered Robert Johnson’s 1936 song ‘Cross Roads Blues’ in 1968, did Johnson’s fame spread, his legend grow and the myths spin. Cream’s Eric Clapton actually first recorded the song, its title simplified to ‘Crossroads’, in London in 1966, with a studio band called Eric Clapton and the Powerhouse. 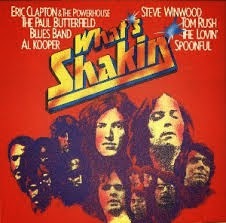 Clapton, at the time regularly performing Crossroads with John Mayall’s Bluesbreakers, was joined on this first solo album by Jack Bruce on bass; the Spencer Davis Group’s Steve Winwood on vocals and Pete York on drums; and Manfred Mann’s Paul Jones on harmonica. That such a modern blues-guitar maestro as Eric Clapton has repeatedly promoted Robert Johnson as ‘the most important blues singer who ever lived’ has, no doubt, contributed mightily to the standing the depression-era blues guitarist, harmonica player and singer has in world blues circles today. As for Leytonstone’s Don Law, the year after recording Robert Johnson’s last session, he produced the ‘King of Western Swing’ Bob Wills and the Texas Playboys in 1938. Their track ‘San Antonio Rose’ became Wills’ signature tune. After ARC was taken over by Columbia, and Art Satherley retired, Law took over Columbia’s country music division. He recruited many unknown artists in the 1950s and early 60s who went on to bigger things and produced many significant records. These included Johnny Horton with ‘The Battle of New Orleans’ (see post from 15 Dec 2014, History that rocks: a rock & roll influence from 1815), Marty Robbins with ‘El Paso’ and Jimmy Dean with ‘Big Bad John’. 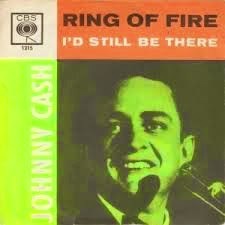 Even more significantly, Don Law signed Johnny Cash and produced most of Cash’s recordings, including ‘Ring of Fire’ during that period. Curiously, when I worked for Columbia’s CBS London office in the 1970s, you couldn’t interest anyone in Johnny Cash records.Cash records. 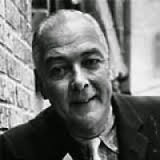 Don died from lung cancer in Galveston, Texas, aged 80. It’s a pity the old cockney never made it into the blues hall of fame. Is this the earliest blues ever known?